iPhone users receive voicemails every now and then, but in most cases they are not aware that these voicemails can pile up and take a whole lot of iPhone storage. Let’s not forget, lack of storage space can cause a lot of troubles for your iPhone. For example, it can cause your device to be slow or sluggish among other issues. Apart from that, you may also want to delete these iPhone voicemails in order to prevent leakages to your personal or private information which can cause unimaginable damage to you in some cases. Step 1: Open iPhone app and tap the “voicemail” tab. Step 2: Go to the voicemail message and tap on the red “Delete” button to delete the message as it appears. Step 1: Open phone app and tap the “Voicemail” tab. Step 2: Then tap the “Edit” button. Simultaneously tap the multiple red minus button before tapping on the red “Delete” button. Step 1: Open phone app and tap “Voicemail” tab. Step 2: Scroll down and tap “Delete Messages”. Step 3: Then tap the “Clear All” button to remove the voicemails on your iPhone that were previously deleted. 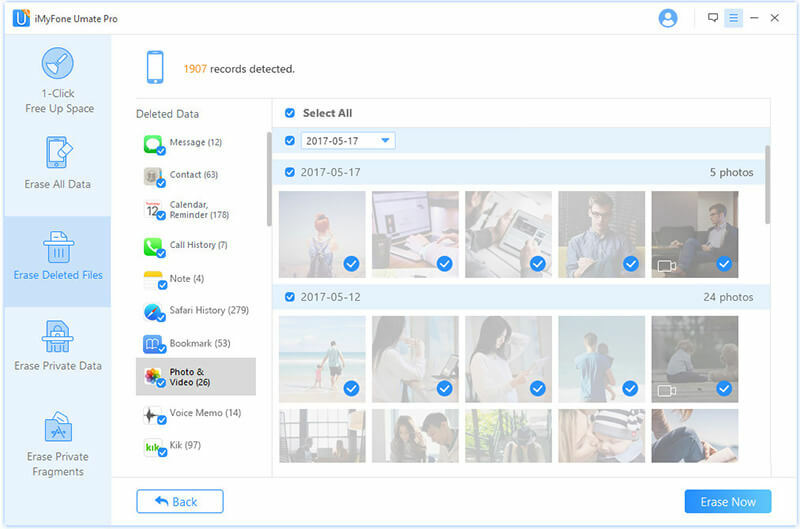 iMyFone Umate Pro / iMyFone Umate Pro for Mac is recommended if you want to permanently delete your voicemail messages in such a way that it can never be recovered even with the best data recovery tools. The iMyFone Umate Pro boasts of so many features that makes it one of the best software you should have for a great iPhone user experience. Time saving - It is time saving because it eliminates a whole lot of unnecessary process that waste your time. 100% unrecoverable – Any message deleted through this method is 100% unrecoverable even with the most modern recovery tools. Erase all iOS Files types - iMyFone Umate Pro works with four erase modes which allow you clear voicemail messages as well as other messages, call history call history, Camera Roll, Bookmark and many other files permanently. Preview function - It has the capability of scanning manually deleted voicemails and current voicemails, previewing them, selecting the ones to delete and mass delete multiple voicemail messages and it is just so easy. Clear up junk files - It can delete all kinds of junk files, freeing up lots of space in the process and optimizing the system. At the end of the day, you can be rest assured that your privacy is well protected even in cases where the ownership of the device is transferred to another user. You can delete voicemail iPhone with just few basic steps as can be seen below. 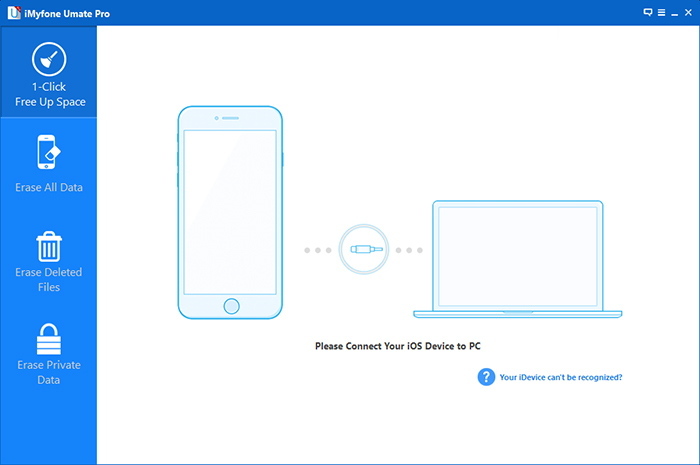 Step 1: Connect your iPhone device. 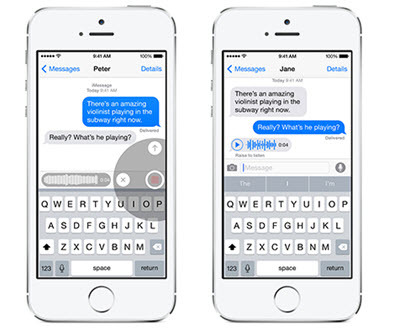 Step 3: Click “Erase” to delete your voicemail messages permanently from your iPhone.